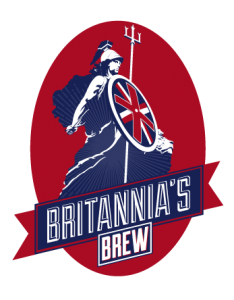 Britannia’s Brew is the official beer of Beer Day Britain. 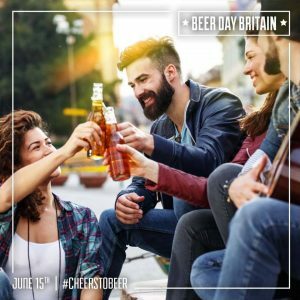 Raise a glass to Britannia’s Brew, the official beer of Beer Day Britain. Each year Brewster’s Brewery in Grantham (founded by Sara Barton British Brewer of the Year emeritus) brews a golden ale that contains English hops and botanicals to represent the home nations – rose petals, heather flowers, seaweed and flax seeds. And each year Sara Barton invites a fellow beer lover to suggest a tweak to the recipe and to join her on brew day. Iterations of Britannia’s Brew have included the addition of Earl Grey tea leaves and New Zealand hops as championed by Stu McKinlay co-founder of Yeastie Boys Brewery, and ginger to represent Grantham’s very own Gingerbread delicacy suggested by Hawken’s Gingerbread. No matter what the recipe, Britannia’s Brew stays true to its intention of being a delicious session beer for celebrating Beer Day Britain. If you want to order some casks of Britannia’s Brew please contact Brewster’s Brewery via this link. But hurry it’s a limited edition. Don’t miss out!